Today, January 14 begins the BAU 2019 Trade Fair in Munich – one of the largest events of the construction industry held in Europe. The Trade Fair will last until January 19. FAKRO which is the second largest manufacturer of roof windows and loft ladders worldwide is taking part in this important event for many years. This year we invite you to the Hall A3, Booth 131. 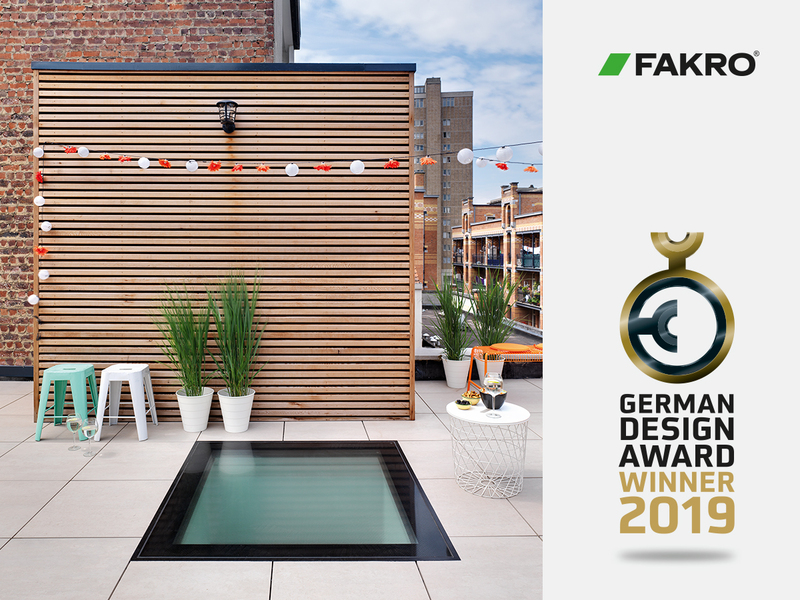 We are pleased to announce that the DXW flat roof window was awarded ARCHITECTUR + BAUWESEN for innovation at the BAU 2019 trade fair in Munich. This prestigious prize was awarded by a jury consisting mainly of architects and planners. The aim of the competition is to reward and promote products designed to the requirements of architects. Criteria such as functionality, quality, technical solutions and a multitude of possible applications are taken into account. The DXW window perfectly meets all requirements by showing new, innovative application of windows for flat roofs. In addition to our growing range of roof window, this year, we focus on flat roof windows presenting a wide offer of products. A special product that we present is the DXW flat roof window which ensures free walk across its surface. The product has been awarded the prestigious German Design Award Winner 2019 and "ICONIC AWARDS 2018: Innovative Architecture - Best of Best". Let yourself be surprised.